In my travels photographing the Eastern Sierras, I decided to settle down on the edge of Mammoth Creek and sit with my telephoto lens to see what creature may happen by. 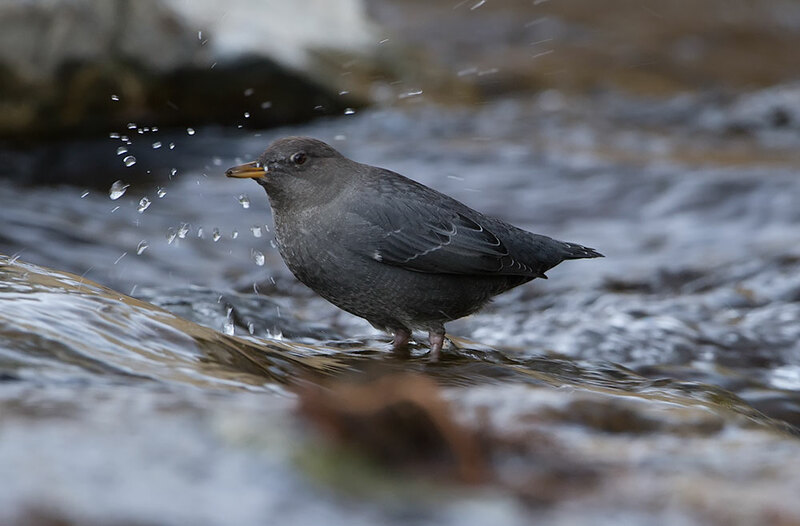 These birds are called the American Dipper (or the Water Ousel). These clever little birds make their home in small creeks, streams and rivers. 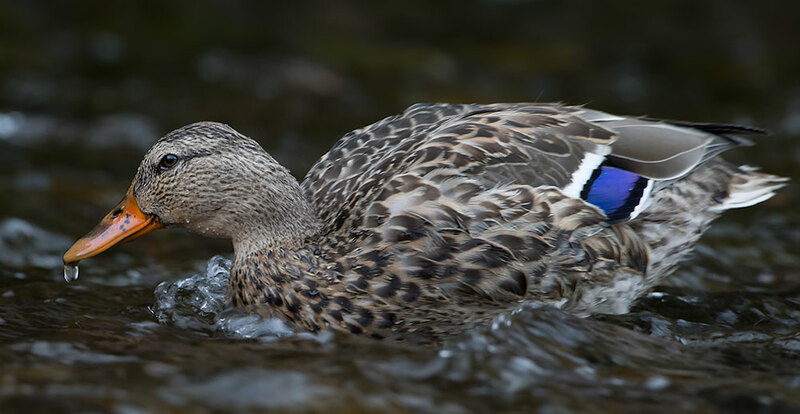 They have highly water repellent feathers that allow them to submerge themselves by grabing on to the creek rocks on the bottom of the stream and work their way along feeding on invertebrates on the creek bed. Their nesting sites are built out of mosses and are typically found under waterfalls, which make the nest very hard to find for predators and photographers. Next time you are in an area where these birds are found, sit still and and maybe you can watch these fascinating birds work the waterways.